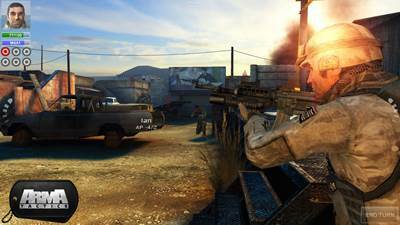 Arma Tactics is a turn-based close-combat strategy game, where the player takes control of a four-member Special Forces team.Arma™ series on PC now come to life on the mobile platforms, in one of the best looking mobile games to date. There are no given strategies, rails to move on, or paths to follow; it‘s up to the player to decide how he will play through both the story-driven missions and generated missions with randomized objectives. 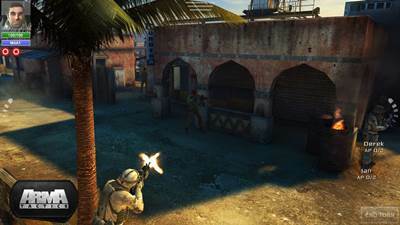 Whether using stealth or a more direct approach, players will need to use their strategic thinking and use both basic and advanced weaponry while facing many different opponents – ranging from unorganized local militia to smart and skilled mercenaries.